- ECW The Night the Line was Crossed (February 5, '94) = 911 pinned Chad Austin. - ECW Ultimate Jeopardy '94 (March 26) = 911 won a "Handicap" Match over Hack Myers, Don E. Allen, & Blue Max. - ECW When Worlds Collide '94 (May 14) = 911 lost, via DQ, to the ECW TV Champ, Mikey Whipwreck. - ECW Hostile City Showdown '94 (June 24) = 911 broke up a Chad Austin/Don E.Allen match, attacking both wrestlers. - ECW Heat Wave '94 (August 13) = 911 defeated Mr. Hughes. - NWA World Title Tournament (August 27, '94) = 911 beat Matt Borne, then fell, via Countout, to Too Cold Scorpio. Shane Douglas won the tournament. - ECW Holiday Hell '94 (December 17) = 911 won a "Handicap" Match over the Pitbulls. - ECW Hostile City Showdown '95 (April 15) = 911 defeated Ron Simmons. - ECW Enter Sandman (May 13, '95) = 911 & the Tazmaniac took down Tsubo Genjin & Hiroyoshi Iekuda. - ECW Barbed Wire, Hoodies, & Chokeslams (June 17, '95) = 911 pinned Jim Steele. - ECW House Party '96 (January 5) 911 & Rey Mysterio Jr beat the Eliminators. 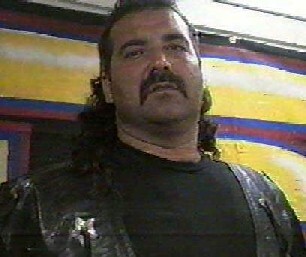 - WCW Superbrawl X (February 20, '00) = Big Al lost a "Leather Jacket On A Pole" Match to Tank Abbott.